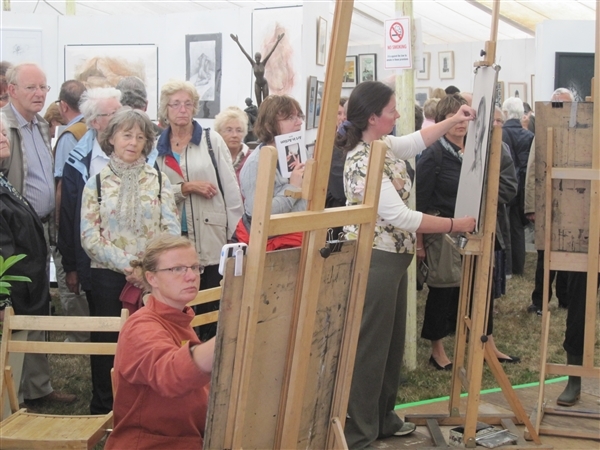 Had a lovely time at the weekend at BrisFest, workshop was very successful with so many people willing to have a go, maybe we have unleashed the next Picasso, you never know! Thanks to Valerie and her team of willing volunteers for setting it all up, already looking forward to next year. 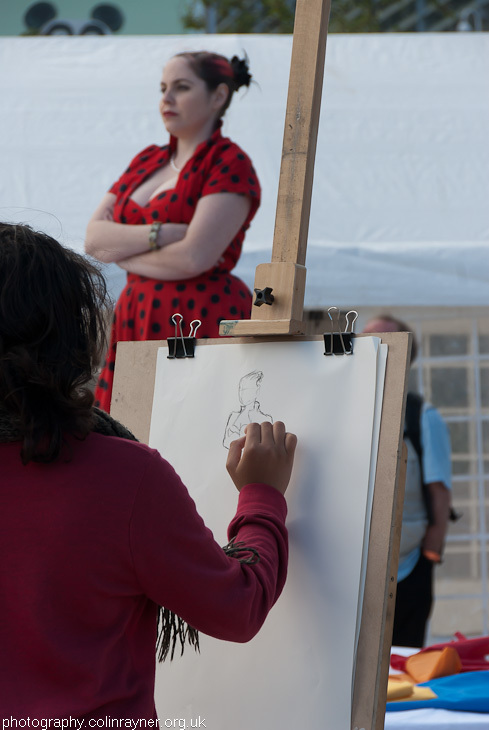 We're running a free to all drop in life drawing session at the Brisfest again this year, last year was great fun and a chance for anyone who has always fancied a go at life drawing to just pick up a piece of charcoal and go! 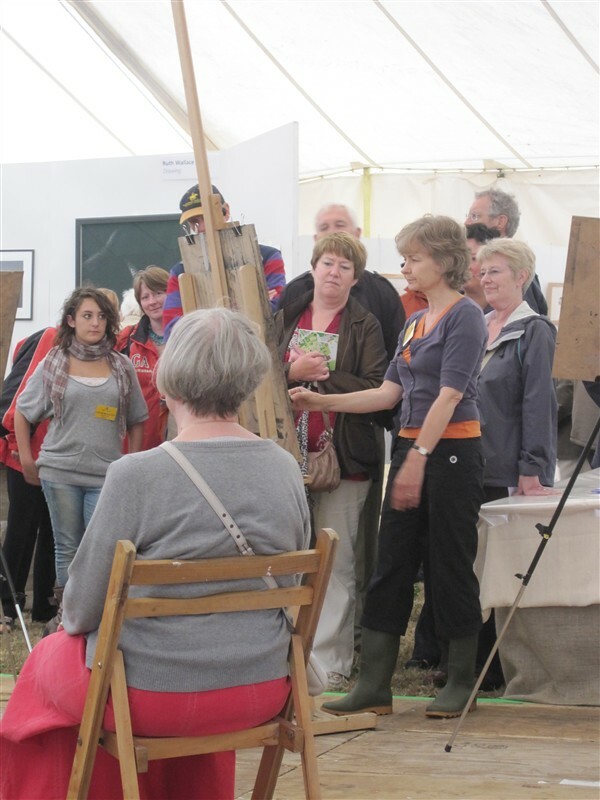 Modelling again with be Michaela and Carol Peace will be the tutor so come and see us on Sunday between 1pm and 2:45pm. While you're at it check out the rest of the festival there is a great and varied line up over the whole weekend. 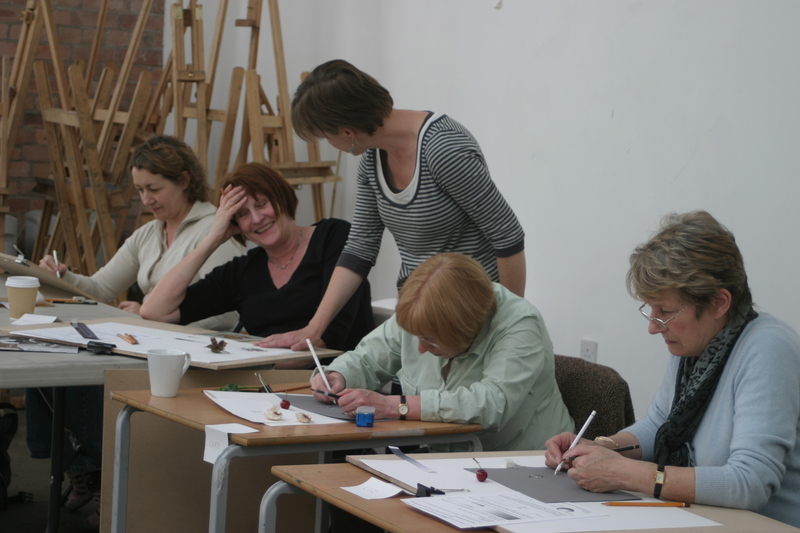 By popular demand we are putting on a couple of workshops in August so you're drawing and painting skills needn't get rusty during the summer break. 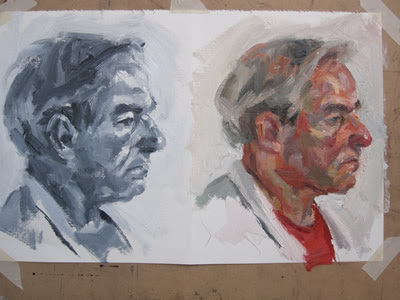 For all you painters out there, or just those who would like longer poses we are running an untutored life painting and drawing workshop over two days, 24th and 25th August, full details here. We are also pleased to offer a special treat for the more adventurous... on Saturday 21st August James Alexander is running a one off all day session of his 'Larger than Life' class, and we have booked popular model Michaela and her snake, full details here. 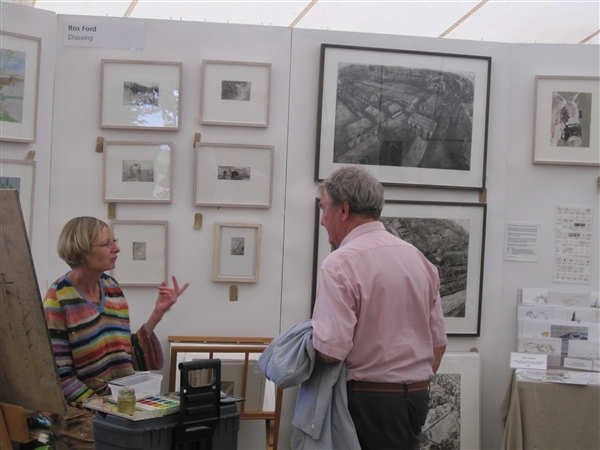 We had a lovely time at Art in Action this year, the weather kept mostly dry and the turnout was great 25,000+! Thanks to Damien and Mark and all the Art in Action staff for looking after us. We are off to Art in Action this week, this is a huge arts festival just outside oxford where we have been invited to show in the Drawing Tent. 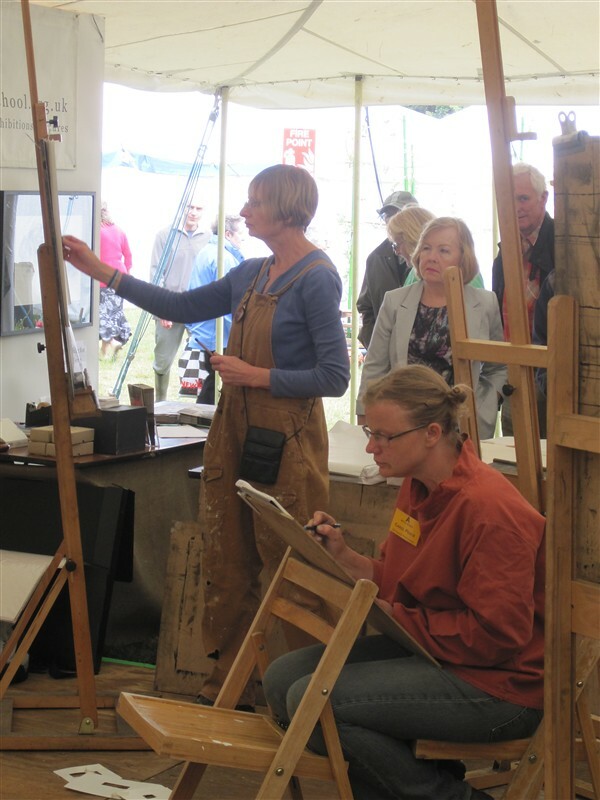 Founded in 1977, Art in Action is a festival of fine art and master craftsmanship, where artists take the visitor on a creative journey by demonstrating what they do, often from concept to completion. 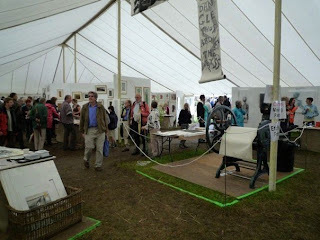 Staged in the grounds of Waterperry House, Oxfordshire, artists set up their studios each July in one of many spacious marquees. 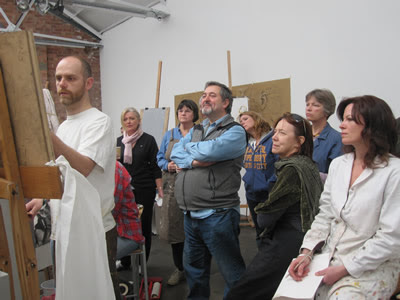 They work in front of visitors, giving them the rare opportunity to observe the creative process at first hand. In 2010 the Drawing section is focussing on the role of the art school in nurturing the next generation of artists. We feel that education is crucial; and that Art in Action can help to support and showcase schools that share our vision of artists - artists who combine deep thoughtfulness about the role and content of art in contemporary society with a level of masterful craftsmanship that evokes beauty in every cultivated form. 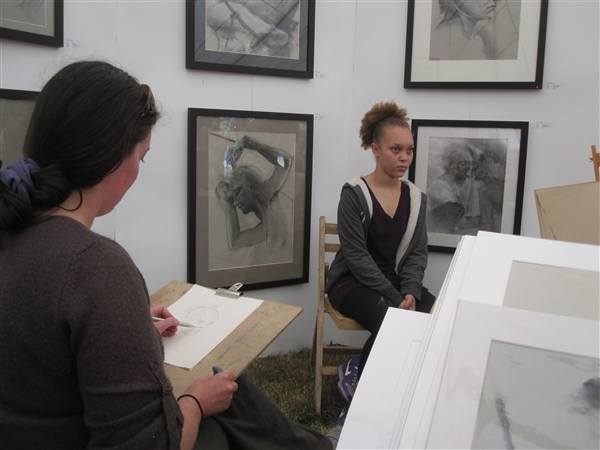 Bristol Drawing School has been selected, and represented in the Drawing tent are three of its senior tutors plus one student who was awarded a place in recognition of excellence. 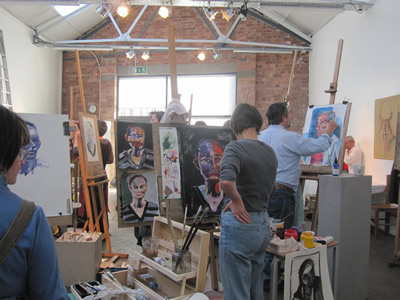 Bristol Drawing School is a not for profit private arts venue and education facility that aims to encourage and nurture the art of drawing, not only as an art form in its own right, but as an essential part of the creative process. 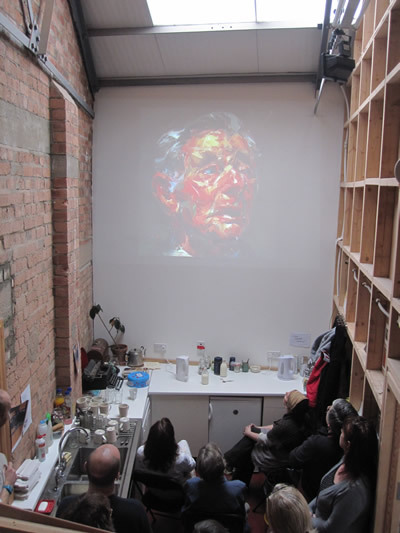 We offer drawing courses and workshops throughout the year as well as curating a regular series of exhibitions and artist talks. 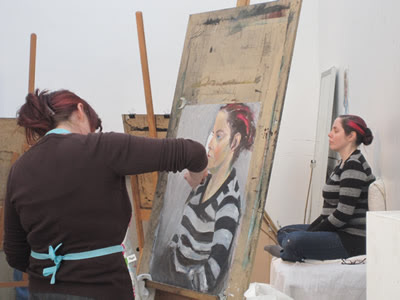 We see our role as being able to provide a variety courses suited to professional artists as well as beginners, without the need to gain formal qualifications and with the flexibility for them to study them as often as they like. We provide a nurturing atmosphere where artists, students and tutors mix together providing support and encouragement, and as a school we promote their work as much as possible, for example in a recent exhibition at the Royal West of England Academy. 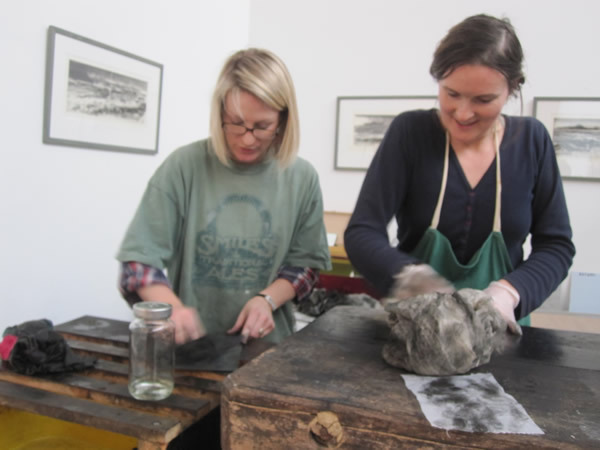 We are currently expanding our curriculum to include complementary skills such as painting and printmaking but with these as in the drawing courses the emphasis is on the learning and practice of the skills needed to excel in these arts. 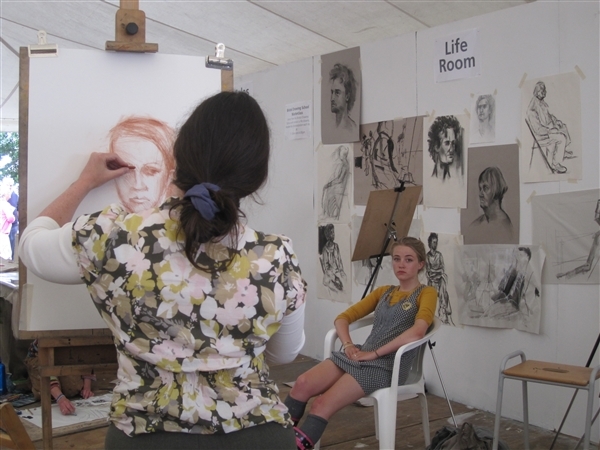 Every day at 11.00am and 4.00pm the Bristol Drawing School artists will gather round a life model for 1 hour, in a recreation of the age-old rarefied environment of the life-room. 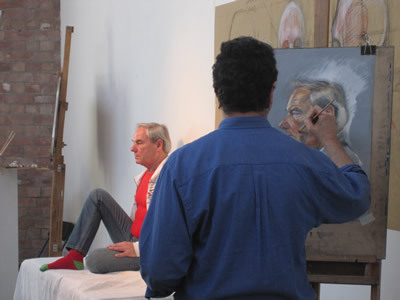 Members of the public can watch as four life drawings rapidly unfold before their eyes, revealing both the magic of the drawing process and the fascinating difference between one artist and another as they each represent the same subject in entirely individual ways. Festival runs from Thursday 15 July to Sunday 18 of July 2010 - See you there! Our Autumn term programme is now confirmed and ready for booking. 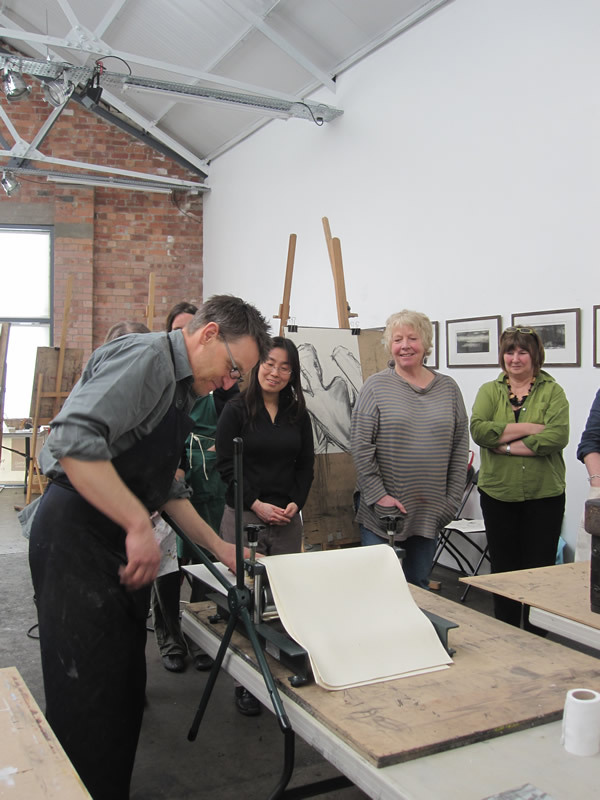 Most of our courses and workshops sold out last autumn so book now to avoid disappointment! 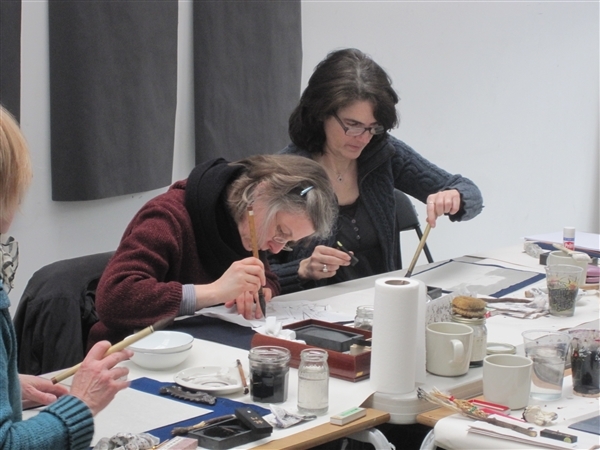 There is something for everyone this autumn, with some new faces and some old favourites, from etching and portraiture to botanical drawing and 3d wire workshops. 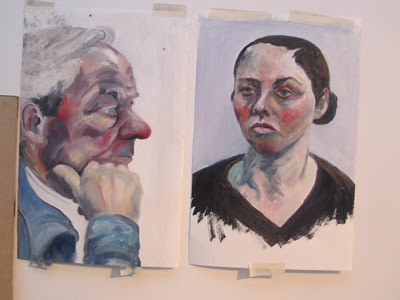 We are pleased to have a brand new ten week all day Drawing, Paint and Colour course run by Esmé Clutterbuck on Thursdays. We are also excited to have artist Duncan Cameron for a solo show as well as a fascinating touch drawing exhibition by DRAW and a lecture on the human form by David Cobley. 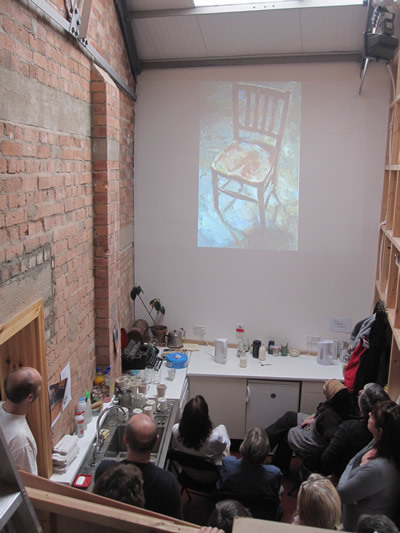 This friday we tried out a watercolour workshop with talented artist and teacher, Jake Winkle, he proved very popular booking up quickly, we'll definitely be doing some more with him in the Autumn. "Attentive tutor and good range of techniques. Well paced"
"Lots of it and very attentive"
"Very instructive and useful to learn techniques and also to learn how and what to practice"
"Very good. Did not belittle students. Positive praise, very friendly and approachable"
"Kept it moving – good balance of demonstration and exercises. 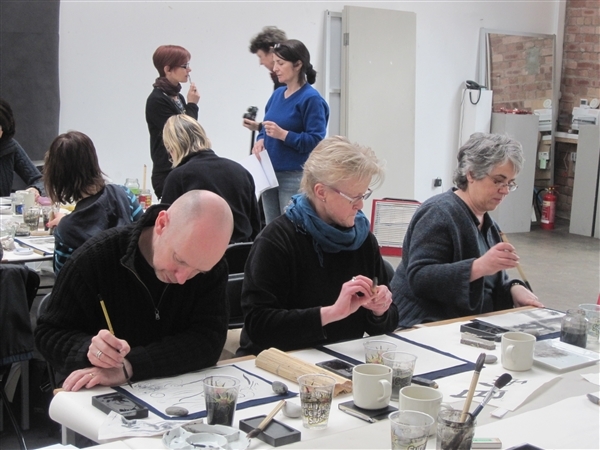 Built up in a great way"
This weekend we ran a Botanical drawing workshop with award winning botanical artist Julia Trickey. It was a very intense two days of concentration leaving many exhausted but happy with the results. "Plenty of variety and opportunities to learn different techniques. 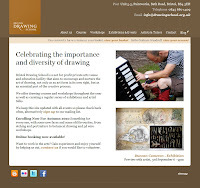 Great to have the materials, pens and pencils provided." "Really would like to have longer, this felt like a taster!" 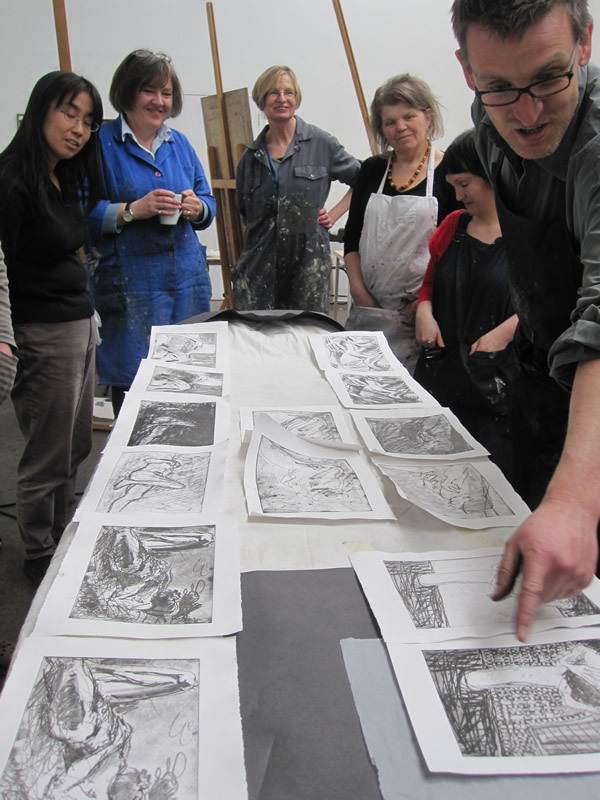 "A really good 2 days – and a very pleasant environment"
There will be more workshops from Julia Trickey in the Autumn term. Please note that this exhibition has been postponed and will not now take place on the dates below. Busy sorting out the Autumn programme at the moment and we have finalised our exhibitoon for the half term period and it's a good one. The DRAW group will be displaying their beautiful touch drawings, these are multi-media drawings created solely through the sense of touch. Alongside a workshop for adults on one of the weekends, we will be inviting visually impaired groups to come down and experience the technique as part of our Big Draw offering for 2010. 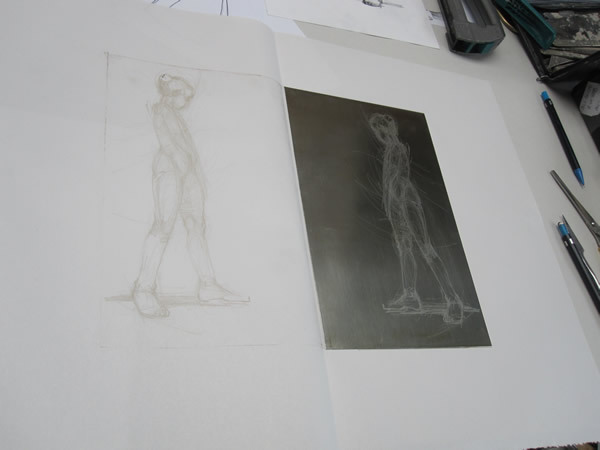 DRAW is a small independent group of artists with a passion for drawing and the drawing process. Our individual practices fuel the varied approaches to drawing that is utilized as a critical/educative tool. We are really happy to have secured Duncan Cameron for a solo show this coming September. An opportunity to explore the world of this artist and collector, his drawings and his cabinets of curiosity, each encapsulating a particular time, place and journey. Anyone who was lucky to catch his show last year at the Bath Royal Literary and Scientific Institution knows that they are in for a treat! Some images below of Duncan's 'Exmoor Collection', completed July 2009 doing 16 miles in one day across Exmoor, dawn to dusk, carrying case. Our very own director and co-founder Graham Woodruff is the Green Party councillor candidate for Bishopston in the upcoming elections on May 6th. As part of the fundraising for the campaign we are having an exhibition some of the best art that Bristol has to offer including works by Carol Peace, Beth Carter, Anna Gillespie, Ian Chamberlain, Valerie Bowes, Ros Ford and Kate Raggett. Not only that you'll have chance to win works by these artist at our auction. Location: Green Party HQ, 17 Great George Street, Bristol, BS1 5QT, (off park street). Come along there will be plenty of food and drink as well as some surprise entertainment! 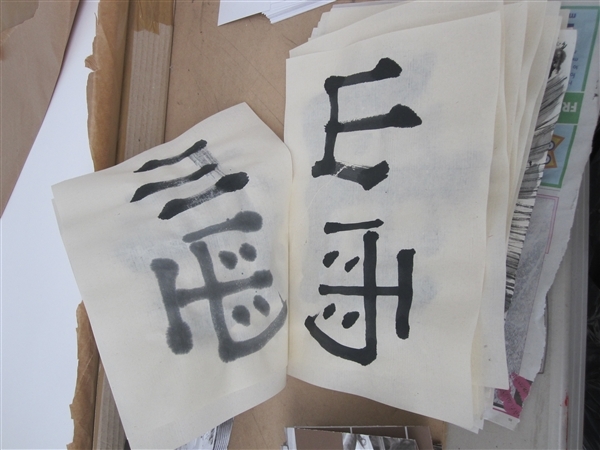 A fascinating couple of days exploring the Four Treasures of traditional East Asian arts, namely sumi (the Japanese for ink), brush, paper and ink stone. 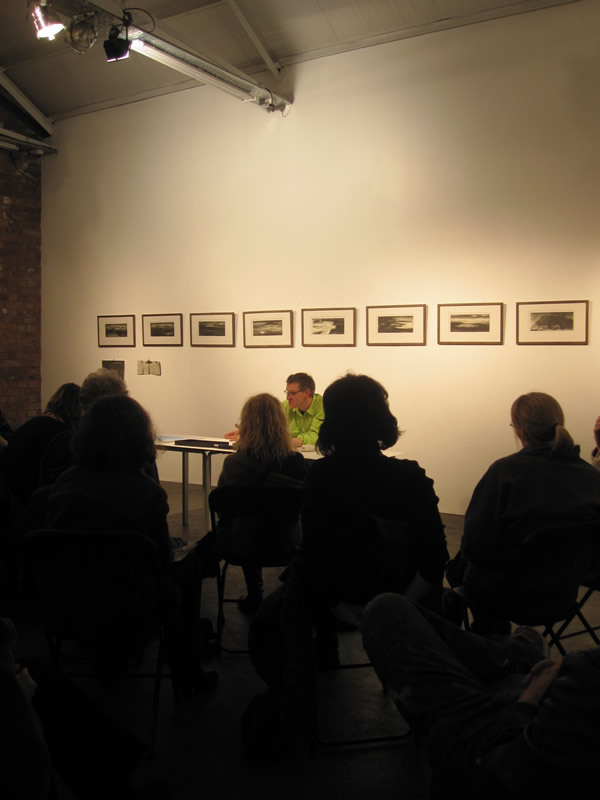 Artist Christine Flint Sato spends most of her time in Japan so we were lucky to get her on a brief visit to the UK. 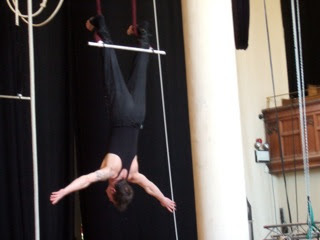 Some images from our recent Circus Workshop featuring some fantastic performances of, amongst other things, Corde Lisse, Trapeze, juggling, burlesque, snake dancing and acrobatics.